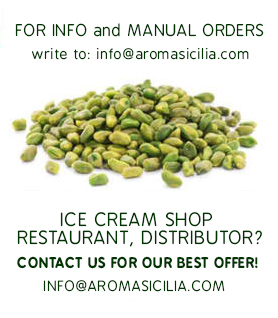 Ingredients: Pistachio 80% Sicilian Pistachio DOP of Bronte, sunflower oil, salt, black pepper. 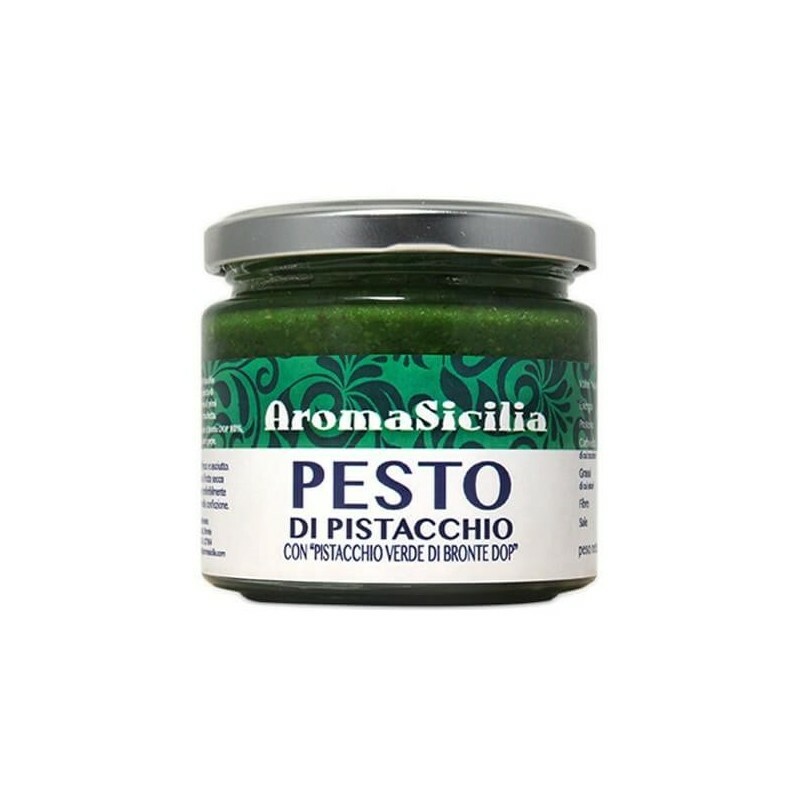 ideal to prepare the original recipe of pistachio pesto pasta, pistachio sauce and sandwiches, pizza, bruschetta and bakery products. Dosage: 2/3 Big spun to prepare 600 gr of Pasta! Delicious!! !